Learn Day Trading by Mr. Kamal Hora. 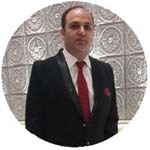 He is the founder of Day Trading Academy in India. He started his career in stock market in 2006 and started trading along with his business. He lost a handful amount of money in stock market on that time due to lack of knowledge but he did not quit and took this market as a challenge. He stopped trading and started Equity Research himself for several years and at last he came up with new successful trading techniques, now he is sharing his vast knowledge and techniques with his students who are willing to learn something new and they are also taking benefits from these learnings. His hard work set new standards for equity traders specially in day trading. After a long research with good techniques he launched Day Trading training facilities for his students through Tutorial Videos and giving personal attention to their queries. I want every trader should learn first in this market, then go for trade otherwise you will suffer the same thing which almost every trader is suffering in this market (big errors & big losses). Money is very precious thing so do not loose it. "Learn from anywhere but learn before trading"